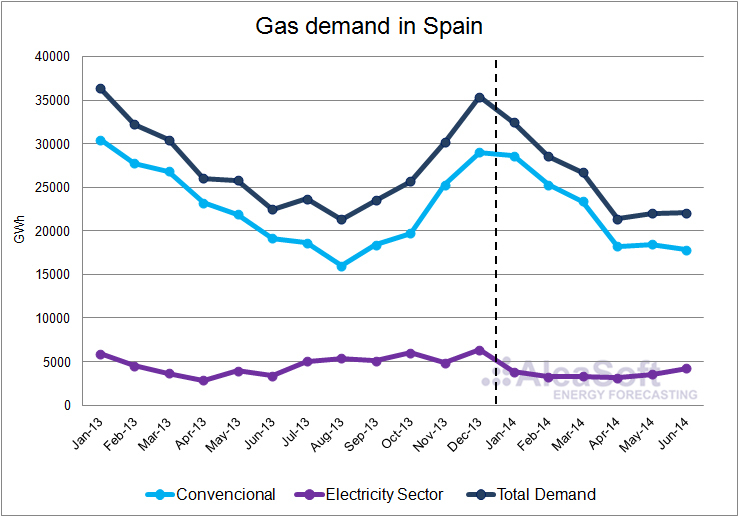 July 4th, 2014 –In the first half of 2014, the gas demand in Spain has decreased 11.7% comparing to the same period last year. This is caused by falls of 12.3% in the gas demand for electricity generation and 11.6% in the conventional gas demand. The gas demand for electricity generation has dropped off mostly due to the decrease in the electricity generation with combined cycles that has been constantly falling since it reached the maximum in 2008. The most important reason behind this fall is the decrease of the electricity demand and the increase of the production with renewable technologies. Comparing with the first half of 2013, it has fallen 16.8%. The conventional gas demand, composed of domestic, commercial and industrial sector makes approximately 86% of total gas demand during the first six months of 2014. A similar value was recorded in the first half of 2013. 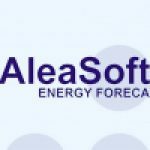 AleaSoft predicts that the conventional gas demand in the second half of 2014 will decrease comparing to the conventional gas demand of the same period last year. The forecast is based on a scenario using mean historical temperatures and a GDP growth of 1.0% for 2014.